Imagine being able to spend one amazing day immersed in learning about sustainable design—and meeting the people who have pioneered new thinking and practices. 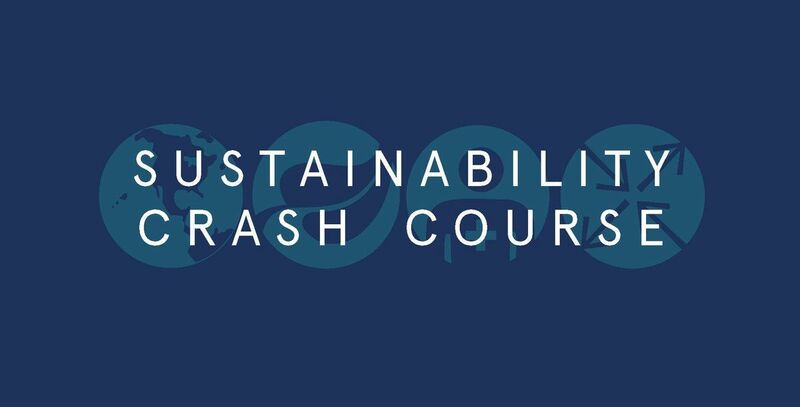 On Saturday, March 23, 2019, Pratt’s CSDS will present the 9th Annual Sustainability Crash Course, a day-long series of workshops with a host of experts from Pratt’s sustainable design faculty and elsewhere. With over 20 speakers, it is sure to be a fantastic day of exploration and inspiration! Registration required. 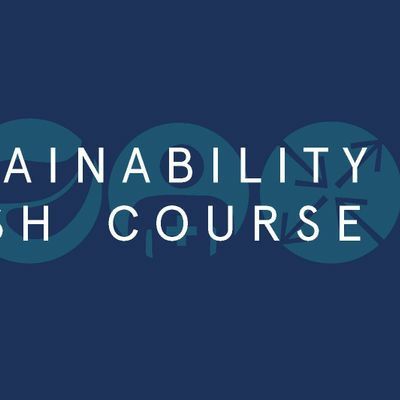 Federico Tarditi will discuss the ways Parley for the Oceans combats the threat of ocean plastics. Parley for the Oceans addresses major threats towards our oceans, the most important ecosystem of our planet. We believe the power for change lies in the hands of the consumer – given we all have a choice – and the power to shape this new consumer mindset lies in the hands of the creative industries. Artists, musicians, actors, filmmakers, fashion designers, journalists, architects, product inventors, and scientists have the tools to mold the reality we live in and to develop alternative business models and ecologically sensible products to give us earthlings an alternative choice, an everyday option to change something. To succeed, we need to find ways to synchronize the economic system of humankind with the ecosystem of nature. And make environmental protection fiscally lucrative for pacesetting major companies. After teaching about "green roofs" at Pratt Institute School of Architecture for several years and as the architect for three "green roof" projects completed or under construction, Prof. Porter will present an update to the acceptance of planted roof coverage at the proper depth, recommended plants, incorporation of materials and necessary structural enhancement of existing roofs, as well as long range maintenance including irrigation when needed. The collection, recycling and storage of storm water and gray water for year round moisture levels has become an important issue concerning "green roofs." Examples of projects in Brooklyn will be shown as well as installations nationally and worldwide. The workshop will cover the details of two climate bills Our Climate and the New York Renews coalition are advocating for at the state level - the Climate and Community Protection Act and the Climate and Community Investment Act. Participants will learn how to effectively advocate for strong climate policy in New York and have an opportunity to practice these skills in small groups. 3) Exercise: participants will learn how to effectively prepare and speak with their own elected officials by partaking in a practice lobby meeting in small groups. Participants will write short postcards to their own elected officials urging them to take strong action on climate. THIS SESSION WILL CONTINUE INTO THE 11AM HOUR IN PART 2. Jennie Romer, Esq. will give an overview of plastic bag law legislation and the key components to writing effective plastic reduction laws, including NYC Council's blocked 5-cent bag fee law. Korin Tangtrakul, a graduate of Pratt's Urban Environmental Systems Management graduate program in the School of Architecture, will discuss designing Plastic Pollution Coalition's global map of plastic reduction laws. Korin's presentation will focus on the design challenges of communicating policy elements in a visual form. 3) Exercise: participants will learn how to effectively prepare and speak with their own elected officials by partaking in a practice lobby meeting in small groups. Participants will write short postcards to their own elected officials urging them to take strong action on climate. This talk will introduce Sure We Can Brooklyn (SWC). SWC WAS FOUNDED IN 2007 TO PROVIDE CANNERS -PEOPLE WHO COLLECT CANS AND BOTTLES FROM THE STREETS- A WELCOMING PLACE TO REDEEM AND CONNECT WITH OTHERS ENGAGED IN THE SAME ENDEAVOR. SWC IS THE ONLY NON-PROFIT HOMELESS-FRIENDLY REDEMPTION CENTER IN NYC. Many canners face economic, emotional, educational and language barriers that limit their possibilities for full participation in society. SWC was founded by canners for canners. A group led by Ana de Luco and Eugene Gadsden, started SWC to improve their working and living conditions, and address the hardships of those who make a living by collecting and redeeming discarded cans and bottles. SWC has grown each year, and in 2015 processed approximately 10 million cans and bottles for redemption. Today, SWC’s more than 400 canners have a place to store, organize, and exchange what they have collected. In addition, through educational activities and programs for schools and universities, SWC is promoting sustainability, recycling and composting. Lecture: Brandi Merolla, Artist/Activist, "Combating Climate Change with Art, Activism and Local Government"
When the gasmen descended upon upstate NY in 2007, artist Brandi Merolla began to read the science and produced art to inform residents about the environmental dangers of fracking. Her visual and vocal activism continued for 8 years. Then when NYS banned fracking, she won a seat as town councilwoman in order to bring sustainable energy solutions to her town, and help transform Narrowsburg, NY into a Climate Smart Community. Founded in 1976, the New York Transit Museum is dedicated to telling and preserving the stories of mass transportation – extraordinary engineering feats, workers who labored in the tunnels over 100 years ago, communities that were drastically transformed, and the ever-evolving technology, design, and ridership of a system that runs 24 hours a day, every day of the year. Associate Curator Jodi Shapiro will discuss aspects of the Museum’s collection and exhibitions in this talk that illuminates some of the history of New York City’s sustainable transit systems. Custodians of cultural heritage have begun to employ Life Cycle Assessment (LCA) to evaluate the environmental impact of materials and actions that curators, conservators, registrars and art handlers employ. This presentation discusses a US-based, federally-funded project established to create a free online library housed with LCA of materials and methods related to preservation of cultural heritage. The project will also produce an LCA beta tool that provides collections care professionals with guidance to achieve sustainable goals through informed choices. The presentation reports on two of the three LCAs, both addressing different aspects of maintaining cultural heritage: cleaning methods and their environmental and human health impact, and cradle-to-gate impact of manufacturing, using and displaying three seventeenth and eighteenth century silver objects. Lecture: Lindsay Reichart, Greene Hill Food Co-Op on “Building sustainable food systems in Brooklyn. Run entirely by members, the Greene Hill Food Co-Op values the spirit of democratic cooperation in which each individual has a voice, and each member-owner works to support the Co-op. The Co-op offers a range of local, affordable, organic, and sustainable food and household products. As neighbors, the Co-op strives to reflect the community in which we live, and we actively work to ensure that the Co-op is accessible to all. We seek to develop the Co-op as an ethical entity, using transparent and socially responsible buying and selling practices.